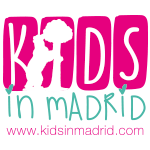 On Saturday mornings youngsters from 6 months to 4 years old enjoy Kindermusik sessions with their parents at family-friendly indoor play centre Espacio Crisálida. You can sign up to just one session or come along regularly every week, as you and your child wishes. Families with children aged 6 months upwards find Little Kingdom’s bilingual leisure centre their number one go-to place on cold, winter days. 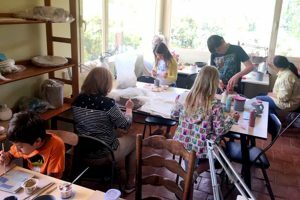 In a vibrant atmosphere where workshops are happening in one corner whilst in the other corner youngsters are enjoying soft play, this informal social club welcomes everyone. Parents can sit in the cafeteria and watch their children or they can get stuck in with the English language activities such as magic, rock’n’roll or dinosaur painting. 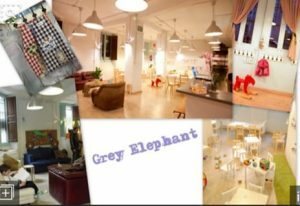 3 – 10 year olds can go along to Tic Tac Toe English Club at Grey Elephant for two hours of fun activities solely in English. Snacks, arts & crafts, recycling, dancing, music, rhythm, storytelling, and guided play are at hand for this group of intrepid fun-seekers. How about getting a group of six friends together for an hour’s fun at the MAD Escape Room close to Islas Filipinas? “Finding the right planet” is a role play game designed to entertain and make the children think about finding alternative planets to live on once we abandon Planet Earth. This activity is carried out in English, and they can even organize events at your home or any other location. Mr Willbe is a creative arts centre for children with a strong focus on stage and screen. From 6pm to 7:30pm every day they offer afterschool classes – some in English – in various new technologies and techniques such as stop motion, sound and music production, illustration and sound effects. On the weekends they offer incredible monthly courses (4 Saturdays in a row) to write, produce, act in and record a short film. Although this short course is taught in Spanish, English is spoken by everyone involved and results are often multi-lingual depending on the children who have signed up to the workshops. What is your number one indoor activity when it is wet and cold outside? Kids in Madrid are keen to find out! Check out our Activities section for some recommendations. Spooktacular theatrical plans for your family in English this Halloween 2018!